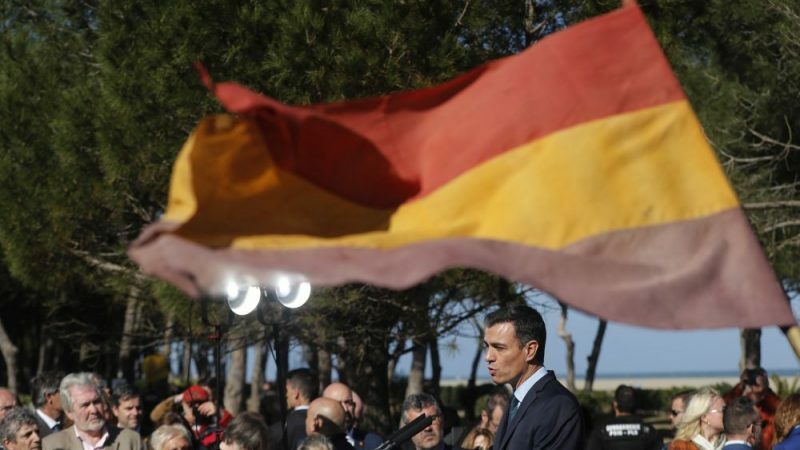 Spain’s Pedro Sánchez on Sunday (24 February) urged Europeans to resist the “winds of xenophobia” threatening the continent, as he marked 80 years since the flight of 475,000 Spaniards to France after Francisco Franco seized power after a brutal civil war. “Across Europe, the winds of xenophobia are blowing,” the Spanish premier said in Argeles-sur-Mer, a seaside town just across the border in southern France where he paid tribute to the exiles of the “Retirada” (Retreat). Mass rallies are planned in Paris and other French cities Tuesday (19 February) to denounce a flare-up of anti-Semitic acts which culminated in a violent tirade against a prominent writer during “yellow vest” anti-government protests last weekend. “Don’t look the other way,” he said. Argeles-sur-Mer was where around 100,000 Spanish refugees were initially held at a squalid open-air camp that the photographer Robert Capa denounced as called a “hell on sand”. It was the final stop on Sánchez’s visit which also took him to several other key Retirada sites. The visit came as Sánchez, who took over as prime minister last June, gears up to face a populist challenge back home ahead of early elections in April in the latest chapter of political turbulence in Spain. His efforts to honour the memory of Franco’s victims have infuriated the new far-right Vox party and the rightwing Popular Party, alongside his pledge to move the former dictator’s remains from an opulent mausoleum near Madrid. Earlier on Sunday, Sánchez became the first Spanish prime minister to visit the grave of Manuel Azana, the last Republican president before Franco overthrew the government in 1939. Es tarde. Han pasado muchos años desde que tuvieron que marcharse. Pero hoy, aunque a deshora, España rinde homenaje a Manuel Azaña, a los compatriotas del exilio. Later he visited the burial site of Sevillian poet Antonio Machado, who died in the seafront village of Collioure, near the border, just weeks after fleeing when Franco’s forces took Barcelona in January 1939. The city’s fall signalled the start of the Retirada, as hundreds of thousands of people fled over the Pyrenees, many on foot, while being bombarded by Franco’s forces. “Both of them died in France, far from their native lands,” Sánchez said of Azana and Machado. At Sánchez’s request, no French government officials joined him on the visit although local officials did participate. “This is the story of my family,” said 70-year-old Juan Francisco Ortiz, who came from Perpignan to Argeles-sur-Mer to honour his father, a captain in the Republican army. Like thousands of other Spaniards held at internment camps in southern France, Ortiz’s father was eventually sent to the Nazi concentration camp at Mauthausen, Austria, when Germany invaded France. 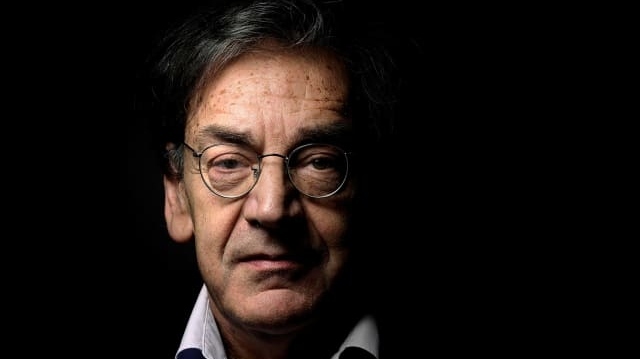 “My father lived in exile for 28 years before being able to return, because the Spanish Republicans freed from the concentration camps… couldn’t go home, because they would be shot,” he said. Opinion polls suggest Sánchez could be risking his post with his call earlier this month for new elections in April, Spain’s third in less than four years. The emergence of Vox in particular highlights populist and eurosceptic movements gaining ground across Europe, such as the “yellow vest” protests that have shaken the government of French President Emmanuel Macron. “We have to respect gravestones, forget race, honour freedom, open borders and create welcoming ports,” Sánchez said on Sunday. “This is the idea of Europe. The idea on which has been built the best period humanity has known,” he said.